Yilan County’s Yue­ming Elementary School has many, many accolades to its name, including 2009 Ministry of Education honors for invigorating campus spaces and developing the school’s unique character, a 2010 Executive Yuan award for sustainable development, a 2013 Ministry of Economic Affairs prize for promoting excellence in energy education, and a 2013 Yi­lan County environmental education award. Given these achievements, one can’t help but be curious about Principal Aaron ­Huang’s family background and childhood. Where does he get his commitment to experimental education? What enables him to overcome difficulties to enliven and innovate education again and again? His passion for his homeland, for Nature and for education is apparent in everything he does. Aaron ­Huang, principal of Yi­lan County’s Yue­ming Elementary School, is a refined and cultured man. Tall and slender, he speaks slowly and thinks through what he says. Yue­ming Elementary has ceaselessly innovated and progressed under his leadership. ­Huang shared with us stories from his nearly 30-year-long career in the field, and what he’s gleaned from his ­experience. 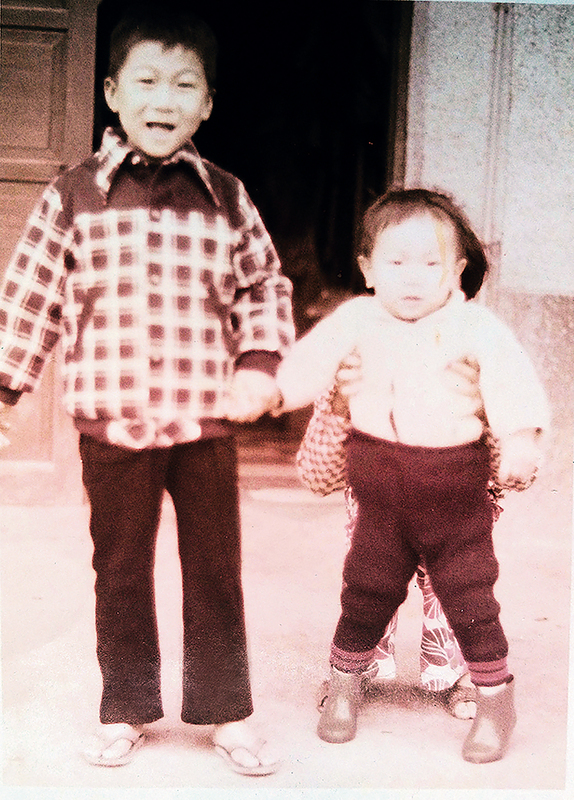 “I was born near ­Shenghu Village in Su’ao, Yi­lan County. My family moved to Ma­sai when I was two or three years old.” ­Huang remembers walking along the embankments between rice paddies and crossing small streams to get to and from school as a boy. He grew up surrounded by Nature and liked to fish, roast sweet potatoes, and play in the mud along the riverbanks on the weekends. If he wanted to swim, he went to Wu­lao­keng, a scenic spot near his home. If he wanted to catch crabs, he went to the beach near his school. “In the winter, we went to the seaside to catch elvers,” recalls ­Huang. “It was an important source of income for locals, and the beach bustled like a nightmarket at that time of year.” The mountains, plains and sea were as much a part of him as breathing, and this constant proximity to Nature would go on to nurture his later thinking about education. “I have fond memories of representing my middle school in skills competitions,” says ­Huang. In those days, schools would assemble teams of ten students who competed in ten skills, including pitching a tent, cooking, carpentry, conducting chemistry experiments, running, English-language listening comprehension, and drawing. The school’s best teachers would train team members after school and on weekends for roughly half the year. The young ­Huang finished second in the Yi­lan County Education Department’s intermural competition, missing out on first place by just 0.2 points. His school’s emphasis on hands-on education stuck with him. He laughingly recalls that he made all of his family’s wooden furniture himself, from the shoe cabinet and wardrobes to the table and chairs. It was this early education and training that inspired him as a principal to train students to camp, cook, appreciate the arts, and get close to nature. His foray into the field of education began when he was one of only two students from his middle school to test into a teaching college. After graduating from college, ­Huang first spent a year as a student teacher at Chang­long Elementary School in Xin­zhuang, Taipei County (now New Tai­pei City), and then spent two more years fulfilling his military service requirement. He had intended to teach at Chang­long again once he completed his military service, but then heard about a small elementary school on Yang­ming­shan that had a swimming pool and a lovely natural setting. His “Nature appreciation” gene activated, ­Huang registered for the Tai­pei City teacher qualification exam and began his teaching career at that very school—Ping­­deng ­Elementary. Ping­deng is located in the southeast corner of Yang­ming­shan National Park. 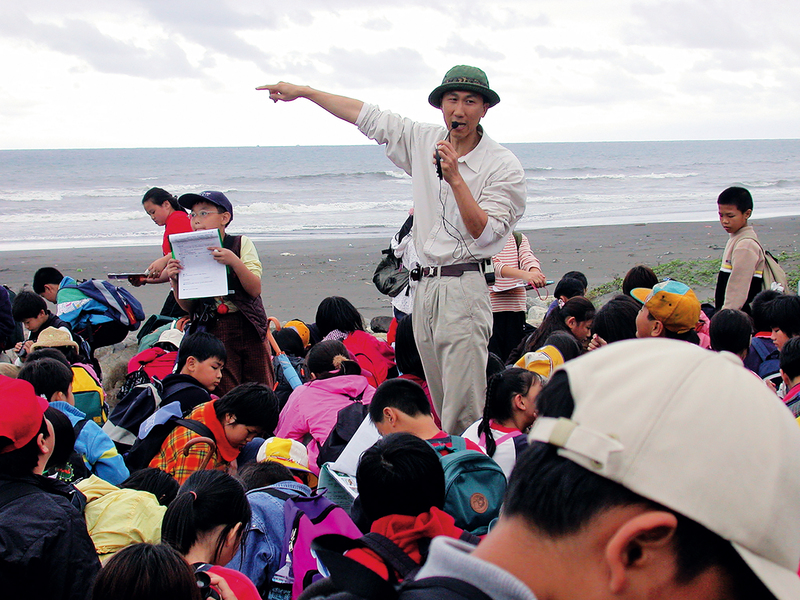 ­Huang says that the location, together with Tai­pei City’s 1991 implementation of its experimental “ecologically oriented elementary school” program, encouraged him to find ways to integrate education with local environmental resources. 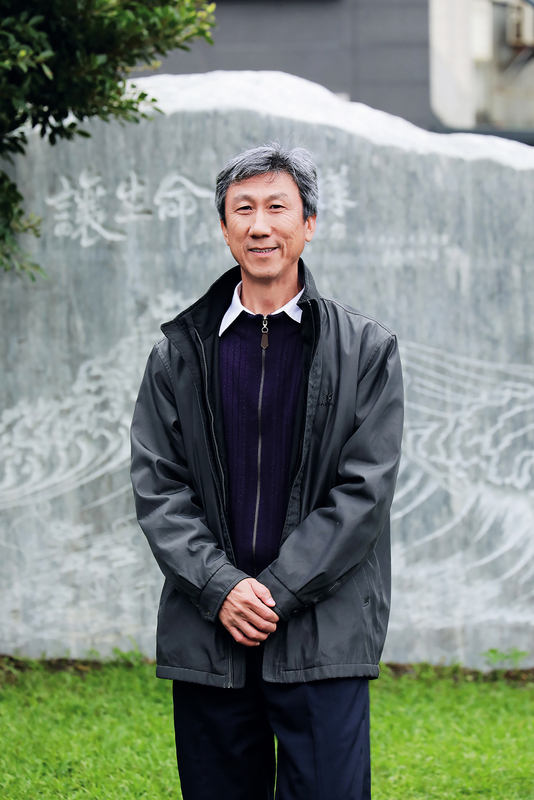 “For example, I would take students to a creek­side during Chinese literature classes so that they could observe how the water flowed.” He eventually extended his linking of similar topics to science classes and multidisciplinary subject matter. 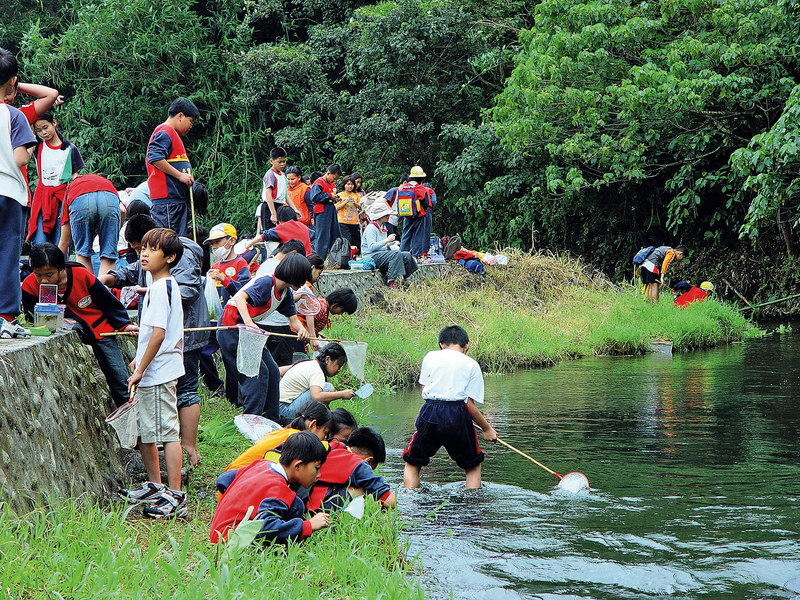 For example, when studying the Yang­ming­shan area, he might incorporate the natural environment, mathematics and literature into a single lesson by discussing annual rainfall and features of the local climate, moving on to the measurement and calculation of rainfall amounts, and accompanying the lot with readings and creative writing exercises related to Yang­ming­shan. 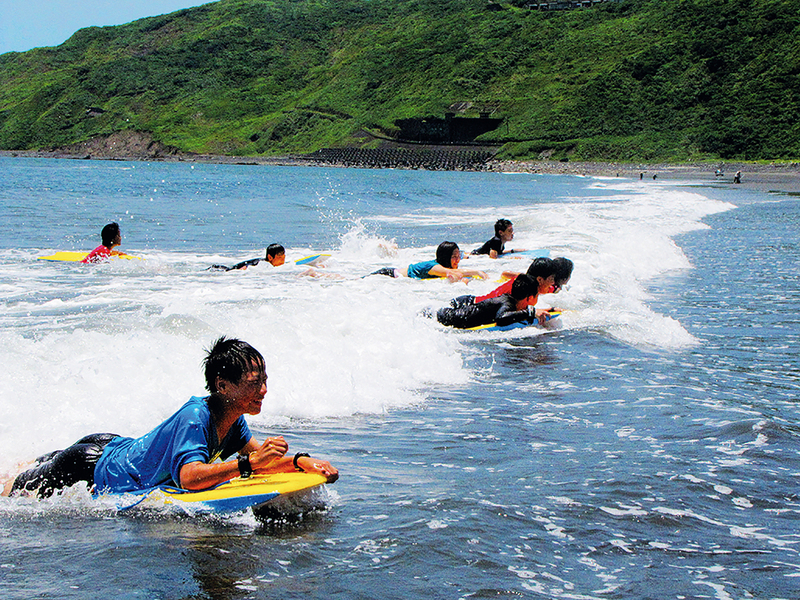 Huang finds Nature far more compelling than ­textbooks. The first issue ­Huang faced when he left Ping­deng to take up a position at Ma­sai Elementary in his Yi­lan hometown was the poor environment at the larger Yi­lan school. “I used everything I’d learned and money from the Ministry of Education’s sustainable campuses program to renovate the school’s campus,” says ­Huang. “My goal was to turn it into a large, sustainable classroom.” Feeling that schools need old trees to have a cultured atmosphere, he replaced concrete with permeable soil that would “breathe.” His next steps were cleaning up the school’s wastewater, building an “ecological pond,” and using climbing vines to create a “second skin” on the drab buildings. He also used recycled rainwater to water plants that would attract bees and butterflies. When these came to drink nectar and lay eggs, they made the school’s environment feel less like a concrete jungle. All of these elements had to be integrated into the school’s academics so that students could learn about environmental protection, sustainable development and energy policy in conjunction with their coursework, and the school could advance its green, low-­carbon, and sustainability goals. 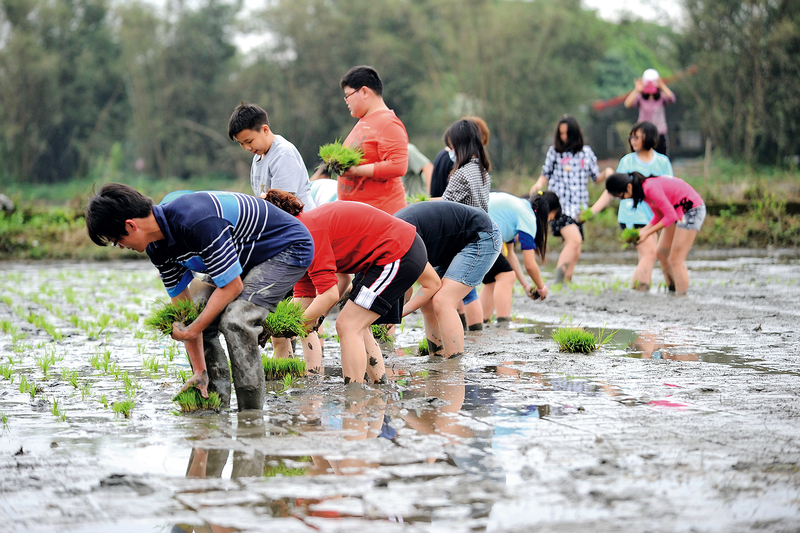 “One time, I arranged a field trip for fourth-graders who were learning about aquatic life.” He took them to Yuan­shan Township because it still had pristine springs, irrigation channels, and ponds like those that were around when he was young. Each of his field trips had an educational focus. 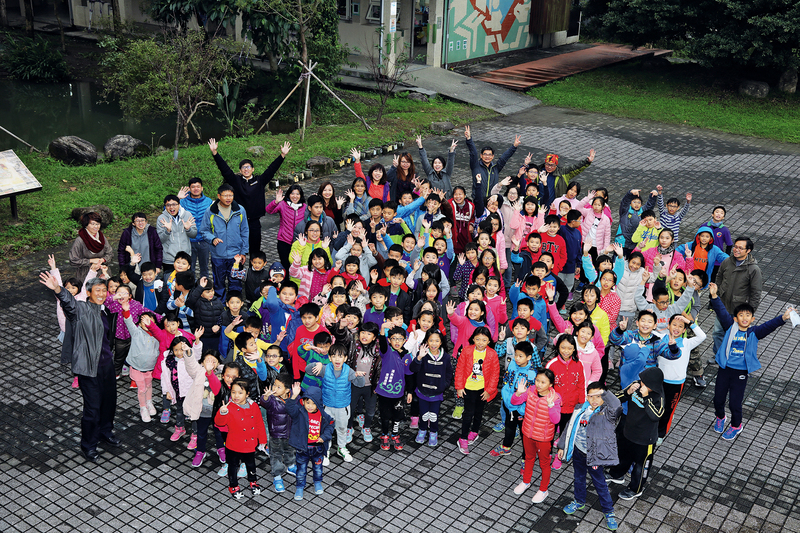 “The kids would tell me that they had never been on field trips like these before, where they had fun but also learned a lot.” In ­Huang’s view, education should be varied, not rigid and lifeless. 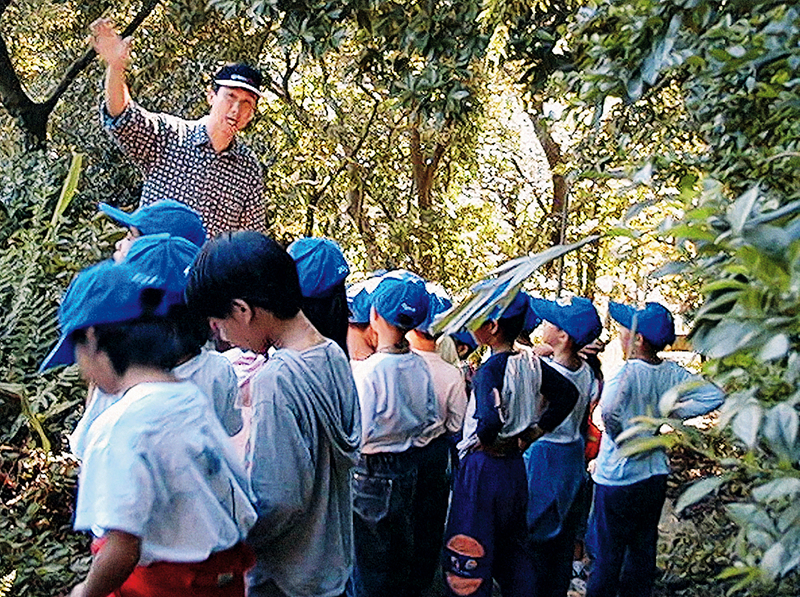 While ­Huang was at Ma­sai, the Wu-Wei River Cultural and Education Association asked him to create an educational handbook on the ecosystem of Wu­wei­gang, an area he had played in as a boy. 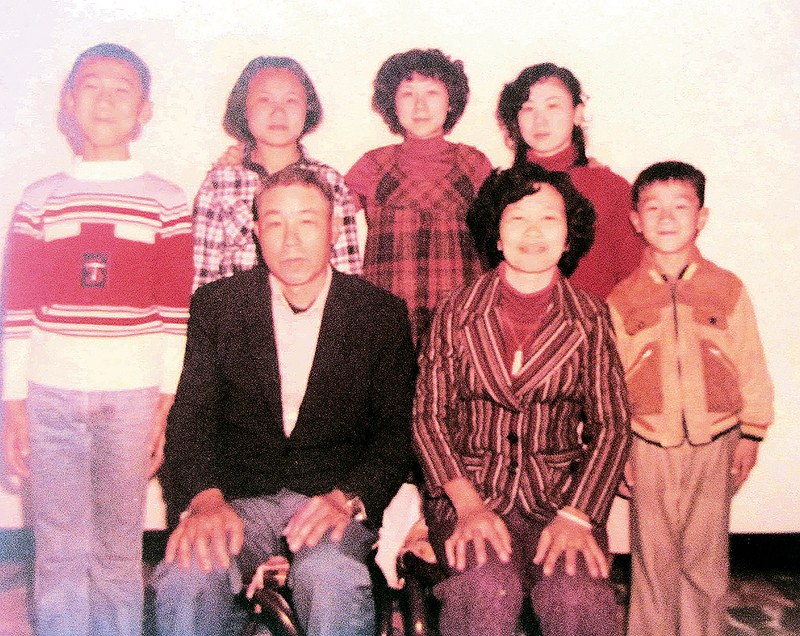 When ­Huang later earned his school principal credential, he applied for and obtained a position at the nearby Yue­ming ­Elementary. “When we took the children to the Dong­shan River for the International Children’s Folklore and Folkgame Festival one year, they happened to see a sailboat on the riverbank.” A trainer standing nearby explained that this kind of boat was powered by the wind, was sailed by children around the world, and was used for an event in the Asian Games. 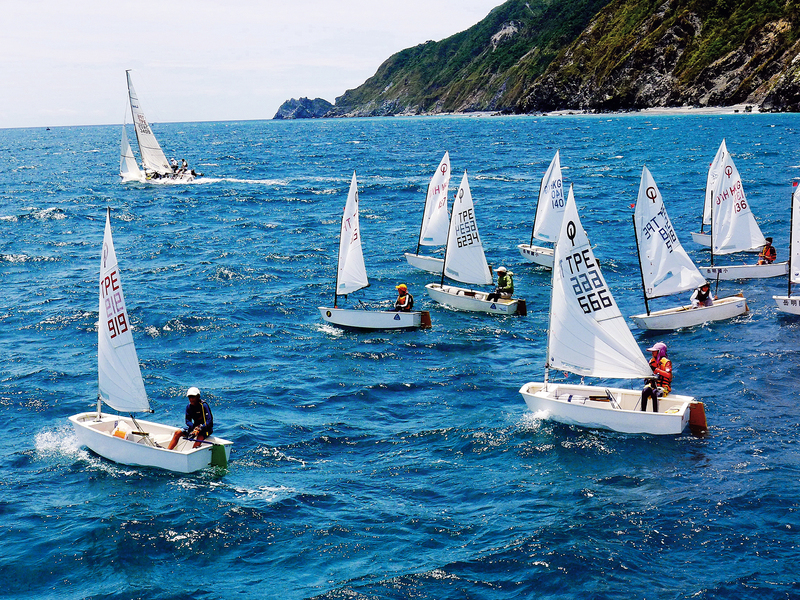 “That year, the government happened to institute a policy aimed at expanding domestic demand, so I put the idea [of teaching students to sail] to the Yi­lan County Education Department.” The school used government funding to purchase eight sailboats and formed Taiwan’s first elementary school sailing club. Once parents warmed to the idea of their children sailing, the school made the course compulsory for all students from the third grade on. It went on to make sailing a graduation requirement for sixth graders. The course incorporates principles from Bernoulli’s fluid mechanics (when sailing into the wind) and parachuting (when sailing with the wind), as well as the history of maritime navigation, English sailing terminology, and literature about the ocean. Huang says the point isn’t to train future members of the national team, or even how well the children learn to sail. Instead, the focus is on the children’s personal growth and development. 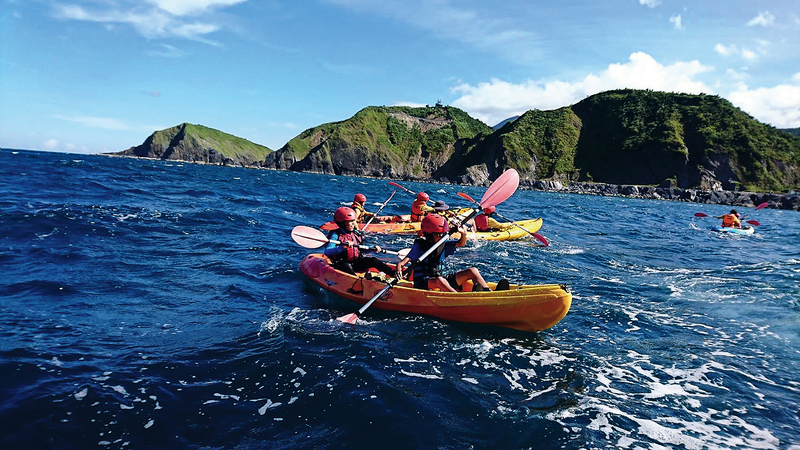 From the swimming course for first-graders to the body­board­ing, snorkeling, and sailing courses offered prior to graduation, Yue­ming’s ocean education strengthens the children’s bodies and broadens their minds. Similarly, the challenges they encounter while sailing not only teach them to overcome their fears, but also help them to mature. 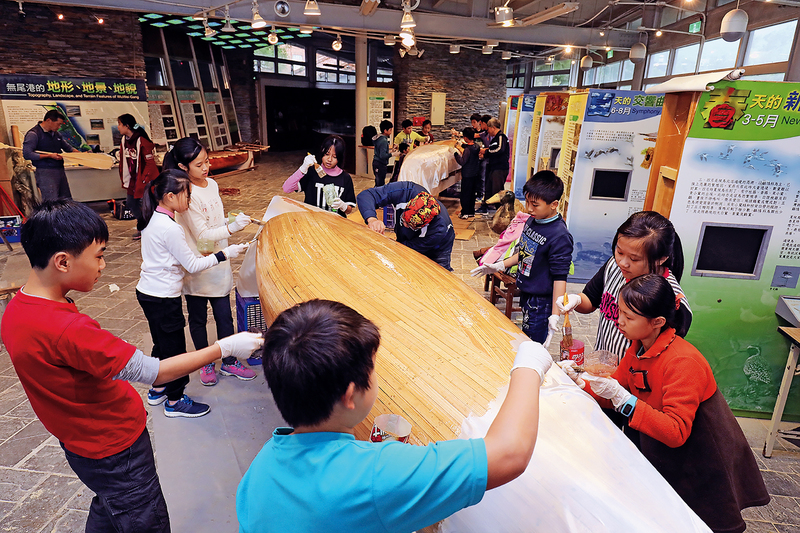 The wind that fills the children’s sails has also led to friendly exchanges with a school on Japan’s Ishi­gaki Island that, like Yue­ming, teaches its students to sail. When the Ishi­gaki students discovered online that Yue­ming was teaching sailing as well, they proposed an exchange program. Students from each school stay with the families of students from the other for four days and three nights during the school year, allowing them to experience the local culture and appreciate the value of cultural diversity. 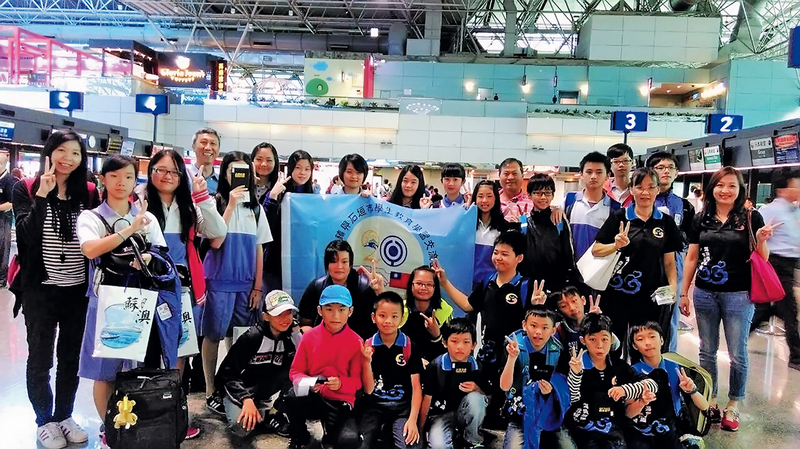 Raising the money to cover the costs of participating in the exchange is actually a part of the course, with parents and children together brainstorming ways to pay the NT$10,000 airfare (the other costs are covered by government departments). One participating child sold homemade dumplings made using cabbage grown by a grandparent and pork from a nearby butcher. The boy’s whole family pitched in and members of the sailing club helped spread the word. He received NT$10,000 in orders in just one week, and used weekends to fulfill them. Yueming’s course offerings extend far beyond sailing, and include subjects such as food and agriculture, wetlands exploration, life skills, and the outdoors. These are cycled over the school’s four-terms-per-year schedule (versus the two-term schedule of most schools). The school also plans to launch a two-teachers­-per-class system in 2018 so its multi­disciplinary approach can make better use of its educators’ differing strengths. Yueming has nearly doubled in size over ­Huang’s tenure, from 67 students when he took up the post to 122 today. 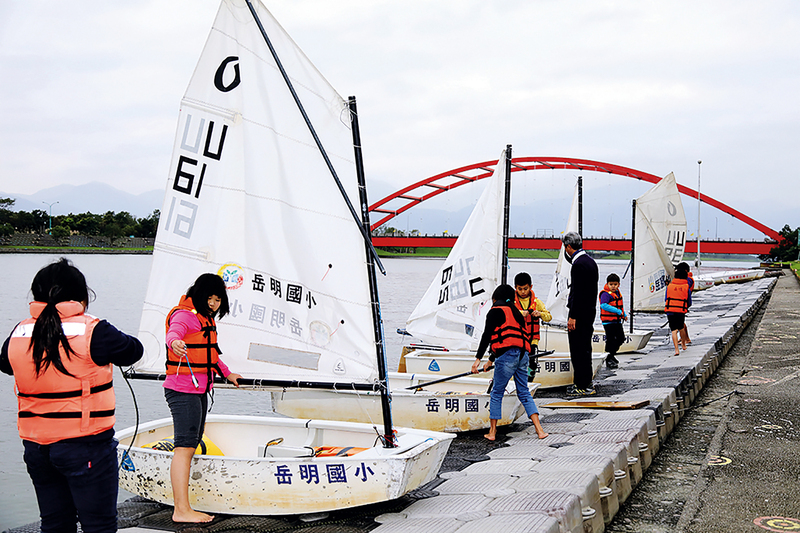 Nowadays, parents move their children to the school’s district not just because it offers the nation’s only sailing course, but also because, in addition to its hardworking teachers and adorable students, it has Principal Aaron ­Huang’s steady and dedicated hand on the tiller.